The aim is to confirm or refute suspicions that the use of depleted uranium bombs poses a health hazard, more specifically, to see whether it may be the reason behind an increase in the number of cases of malignant and autoimmune diseases. The research officially began on June 12 with the signing of an agreement between the ministries of environmental protection and health. The ministries of defence and education, science and technological development will also take part and have already signed a cooperation deal. The first results will not be ready for at least two years. The Minister of Environmental Protection, Goran Trivan, stressed that the research would focus on depleted uranium and substances released during the shelling of petrochemical facilities. The research will be led by four bodies – a council of scientists from the fields of medicine, physics, biology and other sciences, a coordinating body, a national laboratory and a steering committee comprised of the representatives of the aforementioned ministries. Some experts believe that depleted uranium does not pose a deadly risk and say that the Serb public is being intimidated by reports of an alleged cancer epidemic, even though data does not indicate a worrying rise in cancer incidence. It has been established that 112 depleted uranium missiles were launched during the war – 98 in Kosovo, 13 in southern Serbia and one in Montenegro. NATO believes that the use of depleted uranium during the Kosovo conflict did not cause lasting health risks, officials told the TV station N1 in early May. NATO also said that the UN Environment Programme had concluded in its 2001 report that the locations with depleted uranium were not significant in terms of risk to human health. 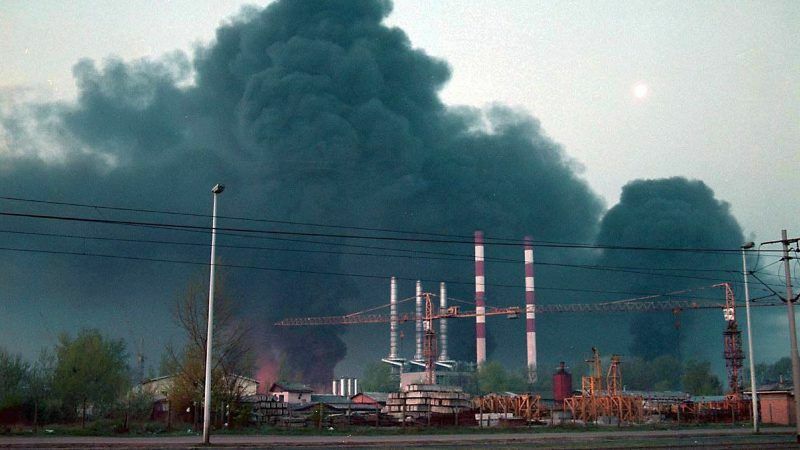 The consequences of the bombing on human health and the environment will also be discussed in the Serbian parliament, which in late May established a committee of MPs to investigate the consequences of the NATO bombing. The commission will submit its first report to the parliament in 2020. Meanwhile, it seems that Serb bitterness towards NATO remains undimmed. An opinion poll conducted by the Institute for European Affairs in late March, on the 19th anniversary of the NATO bombing, showed that 84% of the population opposed Serbia’s membership in NATO and that 62% would not accept an apology from the Alliance for the bombing. The air strikes on the former Federal Republic of Yugoslavia, of which Serbia became the legal successor after Montenegro’s secession in 2006, started on March 24, 1999, and lasted 78 days. The bombing ended on June 10 with the adoption of the U.N. Security Council Resolution 1244, and the withdrawal of Yugoslav army forces from Kosovo and the entry of international military troops. Serbia continues to claim sovereignty over Kosovo, which declared independence 10 years ago.